OTR Preseason Sleepers – On the Radar Hoops, Inc. Many of the top teams in the region were in attendance for the OTR Preseason. Atlanta, Ga -The High School season has ended and AAU competition is officially underway. Teams have been assembled, practices have galvanized old as well as new groups of players, and now it’s time to show how much better you’ve improved since your prep season first began. Below we take a look at some of the sleeper standouts that enjoyed great weekends in their own versions of March Madness this past weekend at the On the Radar Hoops Preseason Showcase. Ashley-Emory is a tough, hard-nosed guard that has a mature skill set out on the floor. He has in all-around game offensively as he was able to score the ball on all three levels at OTR Preseason. I loved the way the senior from McIntosh was able to get downhill and either stop for mid-range pull-ups or put pressure on the defense by attacking all the way to the basket for conversions or free throw attempts. It was easy to see that Ashley-Emory had four years of prep basketball under his belt as he looked developed in a variety of ways. He currently holds offers from Gadsden City and Garden City community college after posting a 16.4ppg average this past season. Hosey is an interesting prospect that many should be aware of going into the spring and summer months. He was very active when crashing the offensive glass this weekend at OTR Preseason and had a few impressive put back slams because of that effort. Standing 6’7” with long arms, Hosey was a consistent finisher above the rim and did so with authority when on the receiving ends of nice feeds from his guards. The height and athleticism for rebounding truly makes him an intriguing prospect for collegiate coaches as he could be an asset down the road at the next level. The 6’6” wing out of North Carolina simply plays the game right way and has great touch around the basket to go with that foundation of fundamentals. Martin can run the floor, play above the rim, and was the beneficiary of several rim runs this weekend. Phillips has a solid mid-range game that he can convert off the catch or pull-up and isn’t a stranger to knocking down shots from three as well. He’s a double-double waiting to happen as he remained active on the glass and is someone that kept Team Renegade Elite on the winning ends of a lot of ball games at OTR Preseason. When speaking on big Paul Hosey (see paragraph above) being on the receiving ends of passes, Topps was usually the individual on the giving end. He is an unselfish point guard that plays with poise going against opposing defenses. He is quick in the open floor and has a great first step to put on ball defenders in bad positions. He is 5’10” but has a solid frame and uses that to his advantage when getting into defenders after he’s gained that first step. I love his tough shot making ability as he showed that on all levels, primarily off his one dribble pull-up at the elbow or quick jab at the three-point line. His knowledge of the game is there and is evident coming off is junior year at New Manchester where he averaged 15.1ppg on 54% shooting. Stephens is guard with a lot of guts as he carried his team during tough stretches of close games at OTR Preseason. He is a tough shot maker and has a lot of confidence in his game as he was able to hit the game winner in one of the Elevate Sports Academy Huskies games in sudden death overtime. Stephens excels at getting to the basket and probably had the most “and one” opportunities of any prospect I saw over the weekend. His ability to get to the line lets you know he is used to absorbing and finishing through contact. At 6’2” Stephens is not afraid to step out and knock down shots from three and he is a guard that can handle point guard duties but looks just as good as an off guard that excels in pick and roll situations. Team Hype is one of the most complete AAU teams in the state of Georgia because they can beat you in so many ways offensively. When it comes to throwing the ball down low to get a basket, this is where McGlockton comes in. 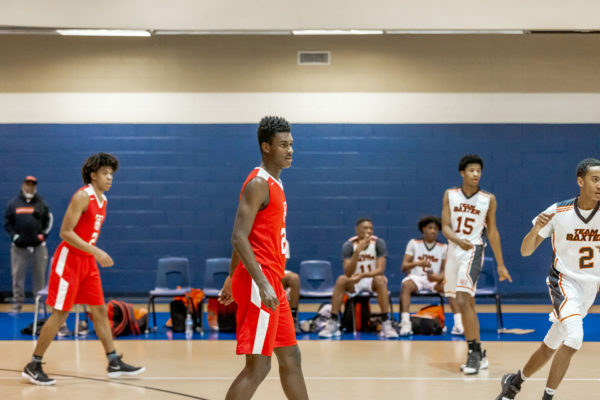 He won’t wow you with his athleticism but the sophomore form South Forsyth somehow ends up with defensive rebounds and he has an excellent back to basket game that is rare to find in today’s game. 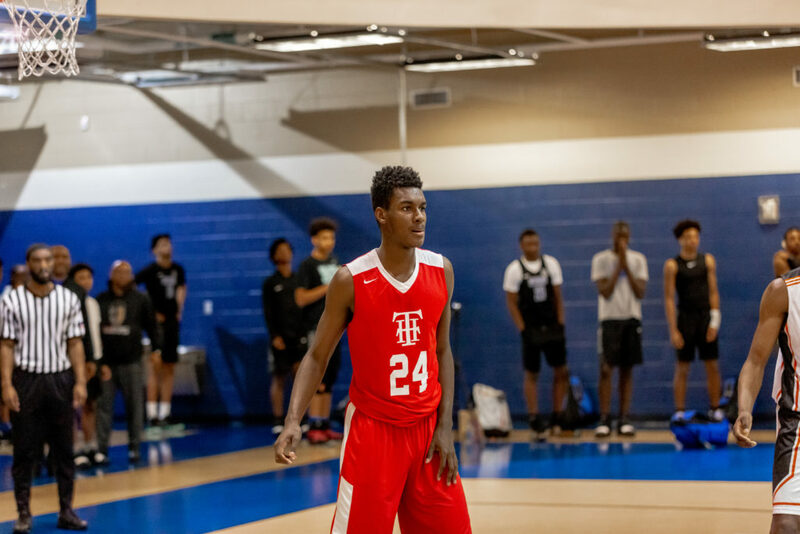 The 6’6” forward is able to step out and hit midrange jumpers or face up with basketball and put the ball on the floor and use his size to finish with floaters and tough lay-ups. When your team needs a spark off the bench, someone has to take it upon themselves to help their team in that moment. That’s exactly what McConnell did in one of the premier matchups in the 16U division at OTR Preseason. 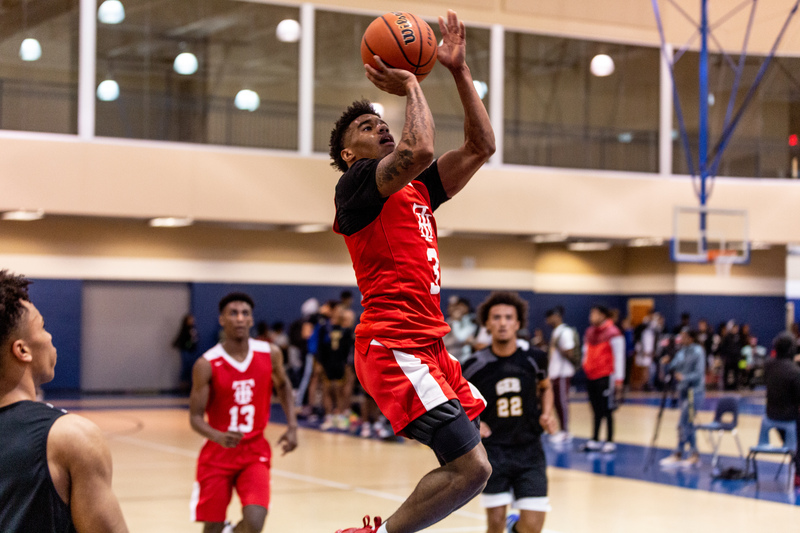 The Mill Creek point guard had his full repertoire on display offensively as he knocked down several tough jumpers, found teammates in the fast break with ease, and looked good breaking down defenders to get to his spots from 15-18 feet away from the rim. McConnell is smaller in stature right now but he makes up with it with his ball handling ability, his calm demeanor against pressure and his knack for being in the right position defensively to start transition opportunities when there is a change in possession. Dumser was one of the better shooters to come through OTR Preseason this past weekend. He seemed to be better off the catch but as a point guard and someone who had it in his hands a lot, he didn’t seem uncomfortable getting shots off, off the bounce. His three-point shooting ability is just as impressive as his one dribble pull up game which he used when the defense was on their heels and playing the shooter from a longer distance. He’s a player that has a knack for putting the ball in the basket and proved that in a 23-point effort Saturday night for the Charlotte Dragons. He knows how to find teammates in the half court and if you’re moving and cutting on offensively, good things will happen with him running the show. Simplifying the game is something that can sometimes go overlooked. Players looking to do too much by doing things that aren’t within their game is common. Freeman is one of those guards that makes the game look easy and makes plays easier out on the floor for those around him. He can find the open man coming off screens, rebound, and score the basketball inside or out. These games winning type of plays were common at OTR Preseason and throughout his sophomore year that saw him average 11.6 ppg and 3.0 rpg.